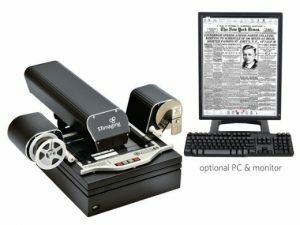 Many researchers, librarians, library patrons and genealogists are familiar with older microfilm reader/printers (similar to the one on the right) but the useful life of those machines is coming to the end. While much effort is being put towards repairing these old machines the fact is that those parts are hard to come by and the microfilm collections at those locations are in jeopardy of being lost forever. 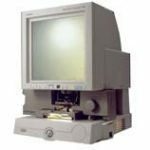 A suitable replacement is needed for the microfilm reader/printer that is both natural and comfortable to the user as well as bringing the microfilm collection into the digital world. Here are the top 18 reasons to use the new ST ViewScan 4 Microfilm Scanner over old and outdated reader/printers. The ST ViewScan 4 displays real-time images, which is customary to users.